Cryptocurrencies led by Bitcoin have been the topic of discussion globally for the past few months now and rightly so. This has made many financial analysts and people speculate that Bitcoin is the future of financial transactions. What Do We Know About Bitcoin? Bitcoin is the first decentralized digital currency that was developed after the global economic meltdown of 2008 by an individual or a group that goes by Satoshi Nakamoto. The crypto was created with the aim of taking away financial control from financial institutions and handing it back to people. This will ultimately reduce the influence of banks and prevent further recurrence of the global economic crash. Over the past year though, Bitcoin has come to the surface and is currently one of the most sought-after things in the world. Why Is Bitcoin Considered The Future of Finance? To know why Bitcoin is considered as the future of global finance, you will have to take a look at the underlying technology behind its Blockchain. The blockchain as explained here is the underlying technology behind Bitcoin. It is a technology that has helped Bitcoin astronomically and has led to more to people talking about it. The Future is Cashless, and Bitcoin Leads the Charge. One thing that we cannot deny is that the world is shifting towards a cashless society. A report by world payments report indicates that cashless payments are projected to grow at 10.9% or more annually through 2020. With the world going cashless, Bitcoin is currently leading due to the general adoption that the currency is experiencing. Even though Bitcoin was developed as a currency, investors and traders are treating it as an asset. In 2017, the price of Bitcoin started trading at just $1,000 and ended the year trading at nearly $20,000. The price has since downwardly fluctuated and currently stands around the $11,000 mark. However, the bullish run by the has led to the realization that Bitcoin and other cryptocurrencies are alternative investment sources. During an interview with CNBC, cryptocurrency entrepreneur, Julian Hosp, stated that Bitcoin’s rapid rise isn’t over yet. He believes that Bitcoin’s price will reach an astronomical value of $60,000. 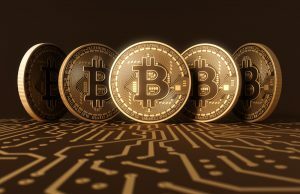 Surprisingly, he isn’t the only one holding the idea; various analysts, traders, and investors believe that the flagship currency has so much more to offer in the long run. Another strong reason why analysts and traders believe that Bitcoin is the future of finance is the fact that it is continuously evolving. There are thousands of cryptocurrencies available now, with each of them having a unique feature. Due to the high level of transactions on the Bitcoin network, transaction speed became slower, and the fees became even higher as miners were making huge profits from Bitcoin transactions. Regarding transaction fees and speed, Bitcoin faces a tough challenge from the third most valuable crypto, Ripple, which is known for completing transactions in less than five seconds and has transaction fees of a fraction of a dollar. This made the currency to become enticing to financial institutions across the world and currently has hundreds of banks and other financial institutions signed up for its project. To solve this issue though, Bitcoin has introduced the lightning network. It is designed to address the scaling problem with Bitcoin and enable much cheaper and faster Bitcoin payments. The project which is being developed by three startup companies aims to build a fast, scalable, and cryptographically secure payment network layered on top of the existing Bitcoin network. The lightening network will most likely shift routine payments outside of the blockchain, and in doing so clear away the biggest obstacle to Bitcoin’s continued growth. Lightening payments are also expected to be faster, cheaper, and more private than regular Bitcoin payments. The developers are hopeful that the lightning network will help Bitcoin become more appealing even to the most sceptic people, the same way the web aided the internet go mainstream. Even though the SegWit adoption on the Bitcoin network had received low patronage when it was first released, more exchanges and wallets are becoming aware of it, and its adoption rate has increased. Just like the Lightning network discussed above, SegWit was launched with the aim of reducing the scaling problem. SegWit being the foundation of lightening network has already achieved some level of success regarding adoption as reports indicate that its adoption rate has risen to over 30% from 10% over the past few weeks. The combination of SegWit and lightning network will present dozens of new market opportunities involving the world’s leading cryptocurrency. If the evolution and improvement of Bitcoin are to continue, then it wouldn’t only serve as a commodity that traders and investors put their money in, it will also become a currency that is being used by companies and individuals all over the world, the original function it was designed to do. 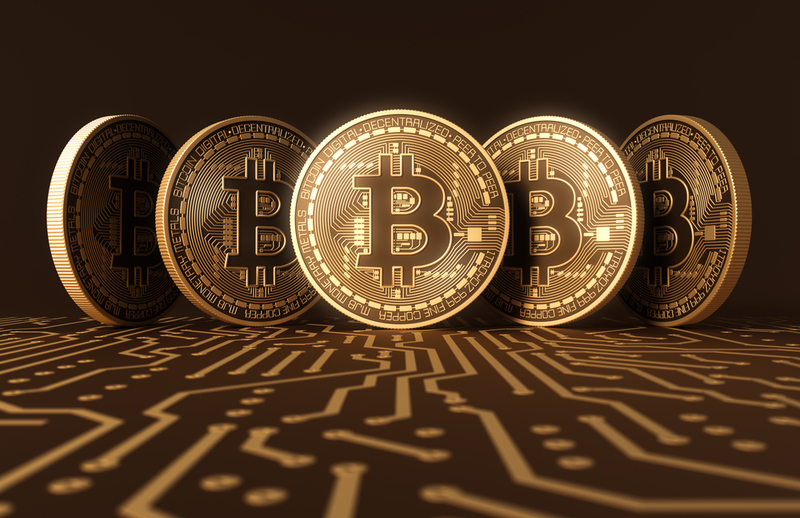 Even though it faces competition from some altcoins and has to cross several government regulatory hurdles, Bitcoin has what it takes to become the virtual currency that the world adopts in a few years. As development made by Bitcoin over the past few months has been massive, and it is expected that the flagship digital currency will continue on this path. If it happens to do that, then it won’t be long before we see Bitcoin become the future that we think it could be. The trust in Bitcoin will only keep increasing and so will its value. Big tech companies such as Facebook, Amazon, Netflix, Google, and others are primarily digital businesses built almost purely on digital trust. Bitcoin is also a digital product and has already begun gaining the trust of investors and traders globally. Looking at its current features and its constant evolution, it is no wonder that people believe that Bitcoin is the future. For those who are looking for financial liberation from financial institutions, then Bitcoin represents not only their hope but also their future.